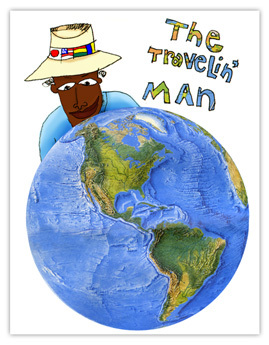 This book is based on the adventures of “The most well-traveled man in the world and his dog!” You never know where you will find this man. He might pop up on a glacier in Alaska or on the Bohemian sands. He has no plan, just an idea in hand. This series takes kids on a journey with a fun character who likes to do all kinds of things. WHEN WILL THE ADVENTURES EVER END?